Prepare for a long post, y’all! 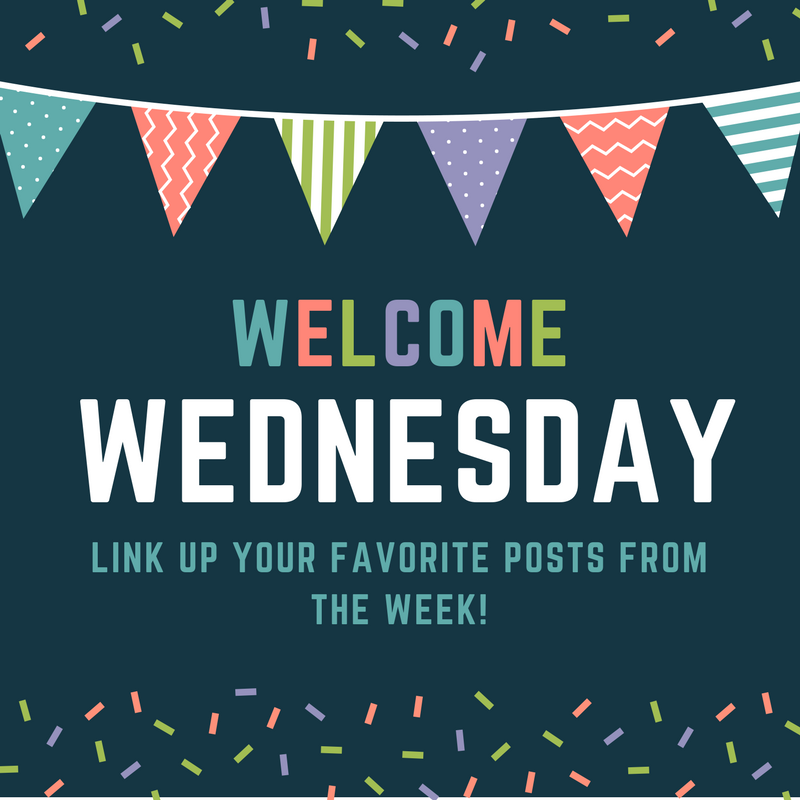 I should have probably split this post into two separate posts, but I didn’t have space in my editorial calendar this week, so we’re just gonna roll with the long post! 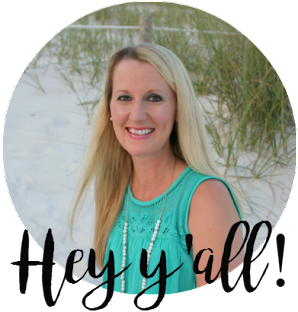 Before I get started, I just wanted to let you all know that Emily Ley is launching her Spring planner line here today! Many people have been emailing me since seeing this post on Pinterest about how I organized my entire life with a series of lists and my Daily Simplified Planner, saying that they wanted one of her planners but they were sold out. Well, today is your chance to grab one, y'all! Her new Daily and Weekly planner line goes on sale at 10 AM EST TODAY, so grab one while they're in stock! Certain editions sell out super fast (like the same day) and the entire line will sell out in the coming days or weeks, so if you're considering getting one, the time to buy is NOW. If you don't get one now, you'll have to wait until her fall launch in September. I wrote all about my love for the Simplified Planner and why I think everyone should have one here, so if you're in the market to get your hands on one, today is the day! Since I have one for 2019 already I won't be buying my next one until the September launch, but I've already decided that the Pink Pineapple Daily edition is going to be mine for 2020. It. Is. Gorgeous. All of her covers this launch are perfection. Seriously. If Pink Pineapple runs out before I can grab one, then the Garden Party Daily edition will be my second choice. Anyhoo, back to the matter at hand... last week's Spring Break! Monday my niece and nephew came over to play for half of the day so our kiddos were excited to have some company. Tuesday was gorgeous outside, so I braved the pollen and took the kids to the playground for a good long while. They requested the park in midtown which is fairly close to where Brian works downtown, so we called him up when we were done and asked him if he wanted to meet us at Chick-Fil-A for lunch. Wednesday, B took off of work as well, so our family of four went to the indoor arcade that the kids love so much and we played games all morning. The rest of the day was spent getting lots of things done around the house and packing for our trip. I came down with a bad cold Tuesday and by Tuesday evening I was a little bit achy and chilled and worried that it might be the flu, but thankfully, I never got to feeling really bad and the aches and chills were gone by Thursday when we left for Atlanta. Thursday we were up bright and early to head to Atlanta. Our first stop was at Candytopia, which is a pop-up candy museum in Atlanta. They hosted us, which was a nice treat. We had tickets for 10 AM so we got right in when we arrived. The museum is arranged in several different rooms or exhibits. The first area was just a little space where the employees took pictures of us, discussed the rules, and helped everyone set up their QR codes that enabled us to have our pictures taken with Candytopia’s cameras and have the photos sent directly to our email. They gave us our first piece of candy, some cotton candy flavored salt water taffy, and then it was time to head into the first exhibit. The first exhibit looked like a library and there were pieces of artwork as well as “statues” that were all made from candy. Each item told what kinds of candy were used to make them, how many pieces were used, and how many grams of sugar were in each. It was so interesting! The employee in that room informed us that there was free candy for the taking in every single room and she then had everyone look around to find the candy in that room. No one could find it, so she pressed a button, and the chandelier came all the way down to the ground revealing a huge mound of chocolates on the top! After that, it was on to the next room which looked like an outdoor world. There was a little playground with a slide, three swings, and flowers that smelled like different kinds of candy. There was also an awesome photo op in that room as well. 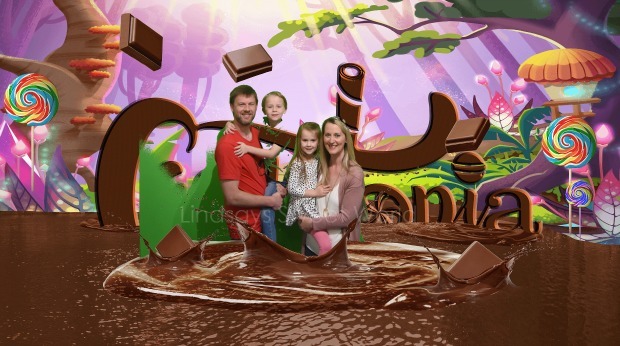 We had to stand in front of a green screen so we didn’t know what the picture would look like, but when we got it back, it looked like we were all standing in a pool of chocolate! Unfortunately we had dressed Jacob in a green shirt so he kind of disappeared into the picture because of the green screen. Lol. We all retrieved our free candy from the room (Tootsie Pops) and they played for a bit, and then it was time to move on. The next room was a museum of famous portraits and paintings all made from candy. The room was black and white and filled with crystal beads and big fancy chandeliers and mirrors everywhere. It was the coolest and the pictures don’t remotely do it justice. I now want to redo my office again and make it look like that. Lol. The free candy in that room was candy bracelets with little candy charms… we all grabbed ours and headed into the next room. The next room had two areas – one area that had a sky with clouds on the walls and floor and there were two huge bouncy balls for the kids to play with. The second area was this crazy colorful spiral floor and wall area where the Candytopia employees used their equipment to take our picture. The kids played with the ball while we waited for our turn, and then once our picture had been taken, we all loaded up on Airheads in that room… one of my all-time favorite candies! The next room was under the sea themed. There were fish and crabs and sea creatures all made from candy. There was a shark made of candy that you could pose in, too. The candy for the taking in that room were Pixie Stix. We grabbed ours and headed into the next room… my personal favorite. The confetti room!! Upon entering, confetti was promptly sprayed all over us. There was loud party music playing and employees were everywhere constantly showering us with confetti. There was a big wheel that you could lay on and spin around, another Candytopia photo op. Jacob was brave enough to get on there, but Olivia was not interested. Haha. The candy in that room was big bags of brightly colored sour gummy candy (another fave of mine! ), and they also had little air blowers to blow the confetti off of us before moving on to the next room. Well, if you saw my stories, you know the sheer volume of confetti in that room was ridiculous, so I couldn’t get it all off of me. Olivia and I had it stuck in our hair for the rest of the day! To get to the final exhibit, we had to walk through these blue blow-up walls that were touching together. Once we were through to the other side, we were in the marshmallow pit room. We waited about two minutes for our turn in the pit and then we hopped in. The marshmallows are, of course, foam, but they do look exactly like jumbo marshmallows! It was so neat! They had a camera on the ceiling above the pit, so we were able to get a picture of all four of us together in the pit. It turned out so cute except for Olivia looked like she wasn’t sure where to look. Haha. We all played in the pit for a few minutes and then it was time for us to get out. Brian and Jacob rode the giant see-saw on the other side of the room for a couple of minutes, and then we all grabbed our final free candy of the trip – caramel apple lollipops and giant marshmallows! The experience ended in the gift shop which was basically a big candy store. We let the kids each pick out one thing – Jacob chose “The World’s Largest Candy Necklace” and Olivia chose some unicorn heart treats – and then we let them pick some assorted candies and fill one of the small bags… as if we needed more candy after all of that free candy. Haha. It was such a unique experience and I highly recommend it if you’re near the Atlanta area! After Candytopia, we walked across the street to Phipps Plaza to find some lunch. They had some fast food restaurants on the third floor, so we all stopped by Rock’s to grab some chicken fingers and fries. It was our first time eating there and it was really good. They have lots of different sauces, and sauce is my faaaavorite, so I really enjoyed it. Once lunch was over we headed straight to our hotel to drop our bags. We stayed at the Hilton in downtown Atlanta and they put us on the sixth floor… the kids were hoping for one of the super high floors, so they were a bit disappointed, but they made do. After dropping all of our stuff in our room, we headed straight back out to the car and made the short drive to Zoo Atlanta. We had already been to Zoo Atlanta as a family of four once before a few years ago, but the day we went it was really cold and we weren’t able to see a lot of the animals because they had them put up inside. On this trip we were able to see pretty much everything they had except for the giraffes and the zebras. They were renovating their area, so they were being kept somewhere else until the exhibit reopened. I was so bummed about missing the giraffes again! They are my favorite! We did get to see plenty of other good stuff, though – elephants, gorillas, pandas, baboons, lots of reptiles including the biggest snake I’ve ever seen (EEK! ), bears, a tiger, a leopard, and so much more. The gorillas were my personal favorite… we just so happened to arrive just as they were about to be fed, so they were super active. They kept beating their chests and running around and they would hold out their hands and catch their food when the zookeepers would throw it to them. There was a little baby gorilla that was precious and he was so mischievous trying to steal everyone else’s food. The zoo even had a komodo dragon, and let me tell you, those things are ca-raaaazy looking. It’s just a massive lizard. And it watched us everywhere we walked. It was creepy. Haha. Jacob was super excited about the komodo dragon because we had missed seeing the ones at Disney World last year. The kids’ overall favorite part, though, was getting to see the tiger poop. Lol. They also got to see one of the gorillas poop and watch the leopard pee so they were in heaven. WHY kids think bodily functions are so hilarious, I will never know. Well, I guess it is a little funny. Lol. And no, I didn't take pictures of it. Hahahaha. We made a quick stop by the souvenir penny squishers so the kids could each get one for their collection, and we also made a stop in the gift shop to let them pick out small souvenirs – binoculars for Olivia, and a light up tiger gun for Jacob. Olivia made good use of her binoculars, too. She used them to look at all of the animals for the rest of the trip! Olivia wanted to go to the petting zoo more than anything, but it’s towards the very end of the zoo, and by the time we got over there it had closed. We didn’t know it closed earlier than the rest of the zoo, so I felt terrible, but she handled it like a champ. We let the kids play on the playground for a few minutes instead, and then we headed to the car after that because it was time for the zoo to close. On the short drive back to the hotel, Olivia passed right out in the car, so B carried her back into the hotel. We spent a few minutes freshening up, and then we headed back out to walk to dinner. Y’all know we love our Tin Lizzy’s, and there just so happened to be one about 2.5 blocks away from our hotel so we were able to walk there. B and I had a round of margs and we had our favorite starter, the chips, queso, guac, and salsa. I had to take it easy because of my reflux, but fortunately my body handled it well. We wanted to have ice cream after dinner, but couldn’t find a place close enough to walk. The kids were pretty exhausted so we didn’t want to get back in the car and drive anywhere, so instead, we walked across the sky bridge from our hotel to the Marriott across the street and B and I grabbed ice cream cookie sandwiches from their gift shop freezer. The inside of the Marriott was really neat because you could see all of the floors from inside the lobby. I snapped this shot which doesn’t do it justice either. It made me dizzy just looking up at all of those floors! The kids wanted some of their Candytopia candy for dessert instead of ice cream, so they picked out a piece of candy for dessert while B and I dined on our ice cream cookies in our room, and then we all went straight to bed. It had been a tiring day! We found the cutest little donut shop called Revolution Doughnuts and they had some amazing flavors. I opted for a Lemon Poppyseed and a Vanilla Bean, B had a Carrot Cake and a Vanilla Bean, Jacob had a “Big ol’ Cinnamon Roll”, and Olivia had a Raspberry Sprinkle and a Chocolate Baked Cake. They were definitely some of the best donuts I’d ever had! After breakfast we made the drive to Stone Mountain to spend the whole day there. We bought all-day passes which meant that we could do everything there without paying extra. Our first stop was the sky buckets. They have sky buckets that go from the base of the mountain to the top and OMG they look so scary from the ground. I have anxiety about that kind of stuff so I knew if they were going to get me to go to the top, I had to do it first thing. If I have too much time to think about things, I end up overanalyzing and getting myself all worked up, and then things don’t end well for me. So we headed straight there to go ahead and tackle them before I could put too much thought into it. Thankfully, the wait was really short – about five minutes – so I didn’t have too much time to get worked up, but I definitely started feeling anxious. I whipped out my lavender oil, dabbed a drop on my wrists and behind my ears, and I kid you not, within minutes I felt nice and calm and felt all of my anxiety melt away. OILS FOR THE WIN!!!! I’m telling you, these things have been a Godsend so far! Each sky bucket holds about 20-30 people, maybe, so we were able to get on and go up pretty quickly. I was thinking the ride might make me nauseated or scared, but it was smooth sailing and super quick, only about three minutes! Once we’d had our fill, we went to get back in line for the sky bucket ride down. I whipped out some snacks for the kids and B snapped this picture of Olivia. I swear, she reminds me so much of me at her age – all dressed up, sunglasses on my head, big ol’ smile on my face! I love it. We knew that Stone Mountain had a petting zoo, and since Olivia had missed the petting zoo the day before at Zoo Atlanta, we wanted to make sure she got to go to the one at Stone Mountain. We walked the long walk to the other side of Stone Mountain to ensure we got there early enough, and on the way, we stopped to tour an old Georgia Plantation home. It was gorgeous! And filled with tons of old furniture and artifacts, some dating back to the early 1700’s!!!! So crazy! The next stop was the petting zoo where we all got to pet the goats and sheep. They also had two giant wild pigs which were not allowed to be touched because they can be a little crazy. Since the walk back to the main area of Stone Mountain was pretty far, we opted to wait 20 minutes for the next shuttle to take us back. 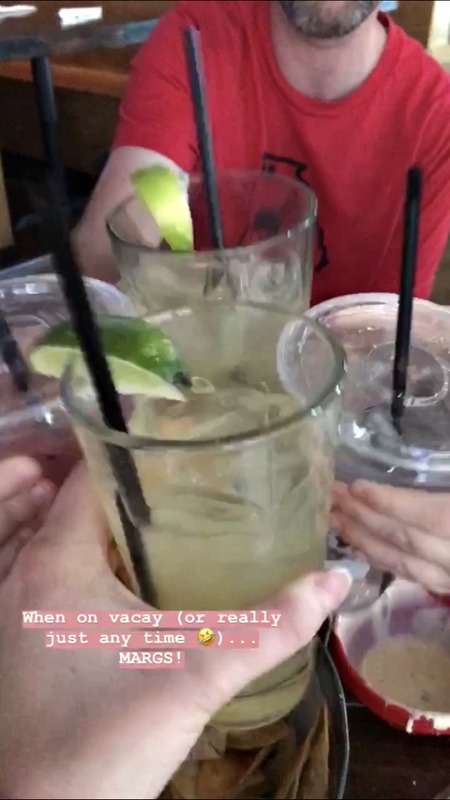 We wanted the kiddos to be able to rest for a bit and rehydrate anyway. Brian and Jacob played Super Mario on B’s phone while we waited, and Olivia and I switched sunglasses and took selfies per her request. Haha. Once we were back in the main area of Stone Mountain, we headed in search of food. There was a little market where B and the kids were able to get hot dogs and chips, and I opted for salad and Greek yogurt. After lunch, we played a round of 18 holes of miniature golf. Jacob got really good and only ended a few strokes behind me, but Olivia still needs some work. Lol. She still can’t quite get the hang of how to hold the club properly, so we ended up having to put a seven stroke per green cap on her. The miniature golf course is right by the train loading area, so we got to see it come and go a couple of times and it was just a really picturesque area. And we couldn’t have asked for better weather on the entire trip… it was sunny with highs in the low to mid sixties so everyone was comfortable wearing long sleeves or short sleeves… perfect outdoor weather! And fortunately my asthma stayed in check out there in all of that pollen. After our round of golf, we had about 20 minutes before the train would be back to board, so we stopped in the candy shop and grabbed ice creams while we waited. By the time we had finished, it was time to go catch our 4:20 train! The train ride was about 30 minutes and the kids loved every minute. The train only goes around the base of the mountain, it doesn’t go through it or anything like that, so it was a peaceful and flat ride. By the time we deboarded it was time for Stone Mountain to close, so we got the kids some more souvenir flattened pennies for their collection, and then we headed back to the car and made the drive back to our hotel. We had wanted to try something new for dinner that evening, but since we were all pretty tired, we just opted for The Hard Rock Café since it was just a 3 blocks walk from our hotel. B and I have been to numerous Hard Rock Cafes (including the one in Atlanta), but the kids had never been to one, so we thought they should anyway. And they thought it was really cool. B and I had some cocktails to start, and then I tried their house salad + a side of their twisted mac and cheese that was soooo yummy. We walked back to the hotel room after that, the kids had more Candytopia candy for dessert, and it was time to hit the hay after another busy day! Saturday morning we slept in again and then headed to our tried and true, Sublime Donuts, before hitting the road to drive home. Yummy yummy yummy! We had a couple of errands to run after arriving home, and then we grabbed Chick-Fil-A for lunch before heading back home to spend the rest of the day unpacking and doing laundry. My grandmother turned 90 on March 20, so we had a big birthday shindig for her on Saturday night at my aunt and uncle’s house. Six of her nieces and nephews were able to come to town to surprise her and it was a really nice evening. I want to be just like her when I grow up! She is an amazing woman! Sunday was spent celebrating my mother-in-law for her birthday and then doing Sunday dinner at my parents’ house for the first time in a few weeks. My family has been so busy lately, my Momma hasn’t had time to cook! We had a full long weekend and I’m just so thankful for our sweet little family and our travels. We always have the best time together making memories! I swear, our kids are at their very best when we’re traveling and exploring! They love to experience new things, just like their Mommy and Daddy! So much fun. Candytopia looks like a lot of fun. The kids' spring break sounds awesome! I love how much you guys were able to fit in while in Atlanta, too! That looks like such a fun weekend. We have been toying with the idea of an Atlanta vacation forever (my boys have been wanting to see the whale sharks at the aquarium ever since reading Percy Jackson)… now that I know the zoo has giant pandas I'm thinking it's got to be next year's vacation destination! You really, really need to go! There is SO MUCH to do there! We love that it's so close to us! It allows us to take quick little weekend trips here and there! What a great trip! We love zoos. And csndytioia looks awesome!! Candytopia really was cool. 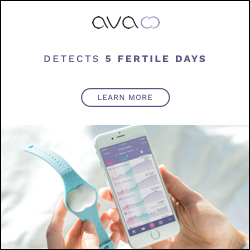 If it's ever in your area you should check it out! You had such a great trip! We have never been to the zoo in Atlanta and I have been wanting to go to Stone Mountain. We did stay in that Marriott though! The lobby is so cool! Candytopia is coming to dallas this month and I think we may take E since your trip looked amazing. Oh my gosh what a fun week!! so much family time which is the best! Candytopia looks AMAZING!! wonder if it's coming to Chicago?!!? It sounds like you had the best weekend. I love that you got to go to Candytopia. I am hoping it comes to either Sac, SF or Reno very soon. I have my eye on it. The zoo looks like it was a great time and all the goodies. I am craving all the yummy donuts and sweets now! 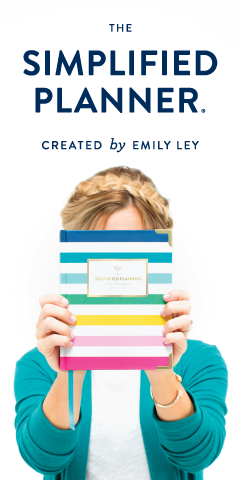 I just ordered my first Emily Ley planner and clicked on your link to get it. I called my sister to tell her and we picked the same print without telling each other, we are so alike! What a fun trip to ATL, y'all packed so much in! The boys would love to check out Candytopia, I need to add this to our vacation wish list!